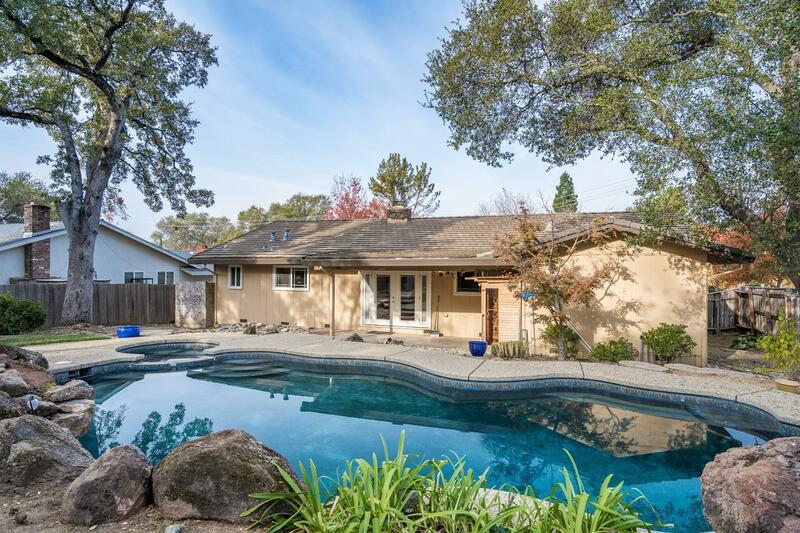 Charming 5 bedroom single story ranch with pool on oversized corner lot in Lakeland - walking distance to Folsom Lake and trails. Great for hosting parties: pool, spa, sauna, sandy beach, fire pit, great outdoor sitting area. Attached 2 bedroom suite with sitting room and bathroom. Freshly painted, inspected and priced to sell.